On Tuesday 12th and Wednesday 13th December Britannia School held a traditionally British Christmas concert ‘The Littlest Christmas Tree’. Left all alone in the forest, after all the other pine trees were chosen to become Christmas Trees, one little tree felt lonely (but not for long!). From reindeers to stars, all the children held very important roles, in helping decorate the tree and making him feel better. 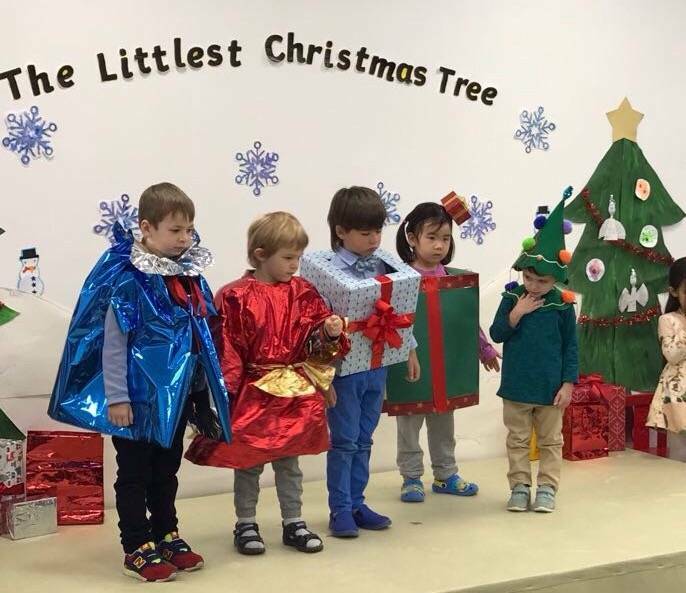 They also spread some Christmas cheer with traditional Christmas Carols, including ‘We Wish You a Merry Christmas’, ‘Jingle Bells’, ‘Twinkle Twinkle Little Star’ and many more songs. The children sang, danced and performed beautifully! Everyone had a fantastic time, and worked so well together to make The Littlest Christmas Tree our best performance yet. Well done everyone!